Sunderland saw a bid rejected by Swansea for Andre Ayew in the January transfer window, but the winger is back on the Black Cats hit-list this summer. As the Echo reports today, Ayew is a genuine target for Sunderland in the transfer market this summer after speculation last month that boss Sam Allardyce would revive his interest in the Ghana international. Ayew is understood to be willing to leave Swansea, but Sunderland may have to stump up a fee close to the £15million market if they are to prise him away from the Liberty Stadium. Elsewhere, speculation continues in Italy over Emanuele Giaccherini's next move, with the 31-year-old expected to leave Sunderland this summer. Bologna - where Giaccherini enjoyed a successful loan spell last season - are struggling to afford the financial outlay to sign the ex-Juventus man permanently, which appears to have left Torino in pole position for a £2m switch. 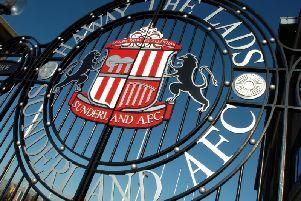 Meanwhile, Sunderland academy product Martin Smith looks to be heading to Kilmarnock, with the SPL side ready to offer the 20-year-old a three-year contract. Smith was told in April that his Sunderland deal which expires this summer would not be extended and that has alerted Kilarmnock boss, ex-Sunderland and Newcastle midfielder Lee Clark, to his availability.